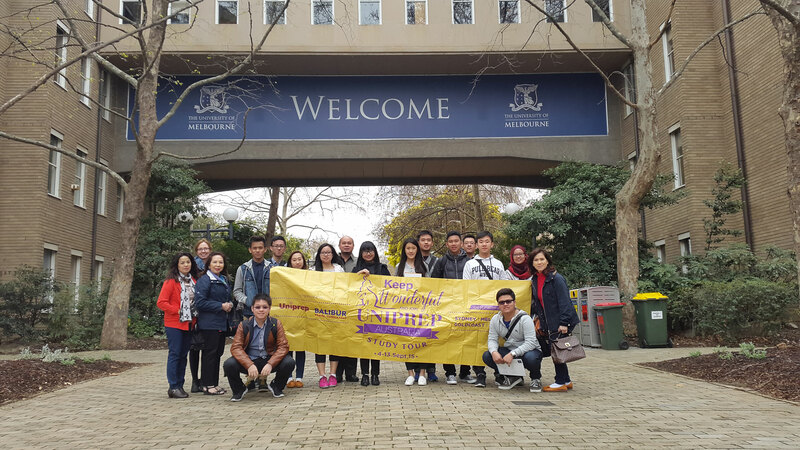 The journey started in Melbourne, soon after landed in Melbourne, the study tour group made a visit to the University of Melbourne for Campus Tour and Presentations. The next day they visited t St Kilda, City of Melbourne Beach the next day and Shopped all the way at Queen Victoria Market before visiting Monash University, and RMIT on the next day. Next on the itinerary, the group headed to Sydney, to visit the University of New South Wales (UNSW) and had a tour around UNSW beautiful campus. UNSW also served the group with signature chocolate F&B experience at Max Brenner Australia. The next day the study group visited the University of Technology Sydney, University of Sydney and Macquarie University. At the end of the journey, they spent a wonderful time at Bondi Beach, Harbour Bridge, Pancake on the Rock & Huricane, & Sydney City Shopping Center.